Selling property is MY business. Whether you are buying or selling, my promise is that I will be working for you from the beginning to the closing. With over 16 years of full time service in real estate I am very capable to serve all of your real estate needs. I have received numerous awards for sales performance from Prudential Real Estate. In the past years years I have received Prudential Real Estate's prestigious Leading Edge Society Designation and Prudential Honor Society Award which is given to top producing agents. I have sold all types of properties, vacant land, apartments, condominiums, building lots, commercial property, single-family homes as well as multifamily properties. 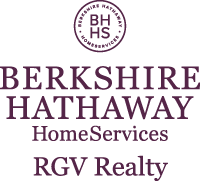 During my career in real estate I have acquired the GRI and SRF designations. The SFR designation is awarded for those who have completed education requirements for certification by the National Association of Realtors as a resource for short sale and foreclosure properties. Prior to beginning my real estate career I have Fifteen years banking experience, which included real estate lending. I can qualify buyers based on my past experience. I know what it takes to purchase property. As a REALTOR, I am held to the highest standard of professionalism and service. To be a REALTOR, an agent must be affiliated with the National Association of Realtors. I serve all of the South Texas area starting with Roma and Rio Grande City to the west and the Gulf Coast (South Padre Island) to the east, and Falfurious at the north to Mexico to the south. This area is made up of Hidalgo County, Willacy County, Star County, and Cameron County. The following cities and towns are included in this area: Roma, Rio Grande City, Sullivan City, La Joya, Palmview, Palmhurst, Mission, McAllen, Edinburg, Pharr, San Juan, Alamo, Donna, Weslaco, Mercedes, Los Fresnos, Harlingen, Brownsville, Elsa, Edcouch, Las Villas, McCook, Port Isabel, Laguna Vista, South Padre Island, Rancho Viejo and Olmito.